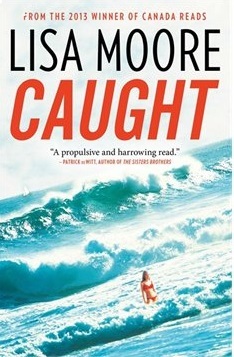 Caught, by Lisa Moore. A combination of a crime story and character study, Lisa Moore’s novel did not land well with me — but I did note in my review that prize juries like her better than I do. Slaney is a minor drug-running criminal whom we meet escaping from prison in Springhill, Nova Scotia, ready to seek his next score. He heads across Canada to meet his co-smuggler and set up try number two. My problem was that author Moore never figured out whether she was telling a story or developing a character — the jury obviously disagreed with that assessment. 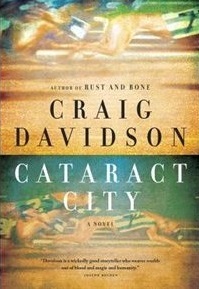 Cataract City, by Craig Davidson. A review of this one is next up on the blog, in a couple of days. Cataract City has three central “characters” — Duncan Diggs, a kid who moved to the wrong side of the law; his schoolyard pal, Owen, who opted to join the police; and the city of Niagara Falls, which supplies the title for the novel. The “Falls” may be what made Niagara famous, but the city has become a trap for those who live there. Dunc opts for one way out, Owe chooses another — and Niagara Falls has its pull on both. Stay tuned for more expanded thoughts. 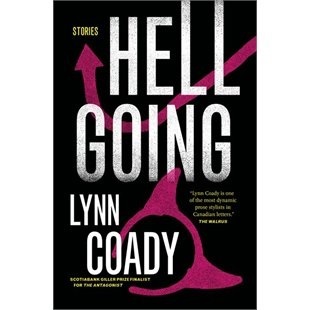 Hellgoing, by Lynn Coady. The Giller always wants to include a short story collection and Coady’s Hellgoing is this year’s representative. Coady is no stranger to the Giller shortlist — her novel, The Antagonist, made the 2011 list. I have read this collection and the review will be up in a week. Unlike Alice Munro with her character studies, Coady is what I would call an “episodic” short story writer — creating a set of circumstances and then letting her characters handle them. As a preview to my thoughts, I found every story readable — alas, I also did not find very many “memorable”. 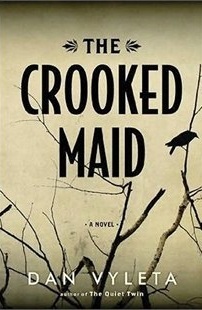 The Crooked Maid, by Dan Vyleta. This will be next on my reading agenda. Vyleta made the 2011 Rogers shortlist with The Quiet Twin, a novel set in pre-WWII Vienna. The German-Canadian author returns to Vienna and the same characters with this novel, but it is set a decade later. The reviews that I have read say it does stand alone and does not have to be regarded as a sequel — since I have not read The Quiet Twin, I will be testing that thesis. Going Home Again, by Dennis Bock. Bock’s previous novels (The Ash Garden and The Communist’s Daughter) have been historical war fiction, but this one has a tighter focus — two brothers come together after a couple of decades apart, their failed marriages supplying the reuniting force. I’d say this is the biggest surprise of a generally surprising shortlist — reviews that I have read of the novel have been generally positive, but not really enthusiastic. While I have two reviews yet to be posted, I only have Vyleta and Bock yet to read, so the entire shortlist should be reviewed here within two weeks. And I’ll be adding The Orenda into the my reading quickly — like most Giller followers, I felt it was a certainty for the shortlist and had been “saving” reading it while I looked at some other “lesser” contenders (two of which did make the shortlist :-)). I can only assume that the jury felt Boyden is already well established and they chose to highlight some other authors. My fellow Shadow Giller jurors are going to have some reading to do in the next few weeks. We will arrange to get books to Trevor at The Mookse and the Gripes and Kimbofo at Reading Matters. I will post the opening paras of their reviews as they go up, with links to the full review. And Alison will be commenting with her thoughts on all our blogs. The short period between long and short lists means that Giller attention doesn’t really start until the short list is up. As always, your comments are most welcome. This entry was posted on October 8, 2013 at 10:21 am and is filed under 2013 Giller Prize. You can follow any responses to this entry through the RSS 2.0 feed. You can skip to the end and leave a response. Pinging is currently not allowed. 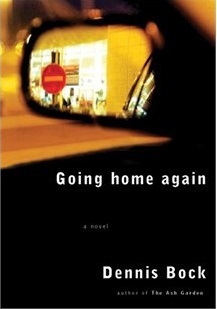 I’ll admit I am surprised the Going Home Again is available — and I suspect you face quite a challenge in finding the other four. Good luck! I’ll be waiting to see your forthcoming reviews before I make any decisions about what to read for myself. I can’t say that I have read anything so far that leaps out as a recommendation for you. I do think that you will find The Orenda of interest when I get to it — we have talked before about the similarities (and differences) in the way that aboriginal peoples were treated in Canada and Australia. As you were “saving” Joseph Boyden’s novel, I was saving Lisa Moore’s (although I did think, too, that his would be shortlisted as well) and I am still “saving” Caught as the last of my Giller reading; I have read and admired her short and long works, and it’s the one that I’ve been looking forward to since it was published. I was surprised (and a little puzzled) by Dennis Bock’s inclusion and surprised (and thrilled) by Dan Vyleta’s appearance, but if I could have found a way to avoid the knowledge of what the jury had selected to promote to the shortlist, I would have opted for ignorance. It’s all about the longlist in my mind, and I wish it was announced far enough in advance of the shortlist that we could comment on whether (and why) we’d’ve chosen a different five. As one who tries to read the entire longlist each year, I am with you on wishing for a bigger gap between long and short list announcements. Given the nature of Canadian publishing, however, I can understand why the Giller organization won’t be able to adjust its schedule. So many titles are not released until September — announcing a longist in July or early August when half the books are not available for more than a month would be self-defeating. And there is the benefit that I do still have a couple of longlist (but not shortlist) titles to look forward to after the Prize itself is announced — Hamelin and Winter. And two others (Gilmour and De Mariaffi) which I am less looking forward to, but will still read eventually. I don’t expect they would adjust their scheduling and press releases to suit our reading pace, but a reader can dream. October 1970 wasn’t available when the longlist was announced either but at least we could start by reading the books that had been published, and I think six of the longlisted were available well before the autumn rush. Never mind though, for, as you say, the books are still there to be read, not only some weeks later, but years later. The Orenda has just made it into my current stack — I’m looking forward to your thoughts on that one — and I still have Hamelin and, finally, Moore to read. It’s been a good year.